So, here we are four decades later, and current polling indicates that Proposition 19, which would legalize marijuana possession and cultivation for adults, has a decent chance of winning at the polls come November. We’ve seen hundreds of thousands of people arrested, marked for life as criminals because they used pot. We’ve seen study after study (starting with Nixon’s own Commission on Drugs back in 1972) that indicates that this particular intoxicant poses no particular danger to people’s health, and that its addictive qualities are no greater than that of caffeine. Back in the 1960s, smoking marijuana was seen as an act of defiance—rebellion against “plastic people” and the roles that young people were expected to play in society. Using the leaves of the Cannabis plant as an intoxicant goes back thousands of years. The first recorded use of cannabis as medicine in Chinese pharmacopoeia dates back to 2727 B.C., and there are plenty of indications of other uses of the plant going back to 6000 B.C. Although marijuana has been cultivated in the western hemisphere since the first colonists arrived, its use was mainly limited to the fibers found in its stalk until the 1840’s, when patent medicines began to appear that incorporated the psychoactive elements of pot. The formal introduction of marijuana as an intoxicant in the elite circles of society occurred in 1876, when the Sultan of Turkey gave marijuana to guests during a visit to the United States as a gift. By 1880, Turkish smoking parlors were doing a booming business throughout the northeastern part of the country. Gradually its popularity declined as it became viewed as the drug of choice for various “unsavory” immigrant groups. In 1914 in El Paso, a group of white men were attacked by a Mexican man who had “gone crazy” on “killer weed.” The local European Whites believed that marijuana gave the Mexicans “superhuman strength” and turned them into killers. Following the incident, the El Paso City Council passed an ordinance banning possession of marijuana. The law was more about controlling the local Mexican populace than controlling marijuana, as the predominantly white constituency did not like the Mexicans or their customs. Once race got introduced into the equation, marijuana prohibition became a foregone conclusion. During the alcohol prohibition years Jazz musicians traveled north and took marijuana with them, making reefer parties popular in many major cities along the way. And, of course, many of those musicians were black. 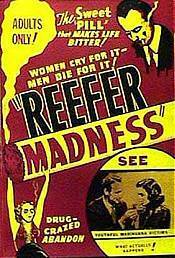 In 1936, the propaganda film “Reefer Madness” was made in an attempt to scare young Americans away from using marijuana, telling Americans that the drug causes insanity. In the film, a woman smokes marijuana, then laughs while a man who has smoked marijuana beats a third person to death. The propaganda campaign convinced the public that marijuana was in fact a “killer drug.” Hysterical voters demanded action without seeing or hearing about any scientific research about marijuana or proof of the supposed harm that comes from smoking it. On October 2, 1937, President Roosevelt signed the Marijuana Tax Law. The main opposition for the ban on pot came from the American Medical Association (AMA). Members of the House Ways & Means Committee were forced to turn to veterinarians who testified that dogs were particularly susceptible to marijuana’s effects in order to get “scientific evidence” on the record. 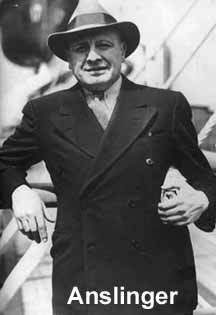 Hearst and Anslinger were supported in their quest by the Dupont chemical company and various pharmaceutical companies. Dupont had patented nylon, and wanted hemp removed as competition for use in creating fibers for clothing manufacturers. The pharmaceutical companies could neither identify nor standardize cannabis dosages, and viewed the plant as a potential home remedy that could interfere with profits. Getting back to our old buddy Richard Nixon, who won the 1968 election on a campaign-platform for restoring law and order in the country, launching Operation Intercept. Two thousand customs agents were deployed along the Mexican border for search and seizure operations to stop the flow of marijuana. 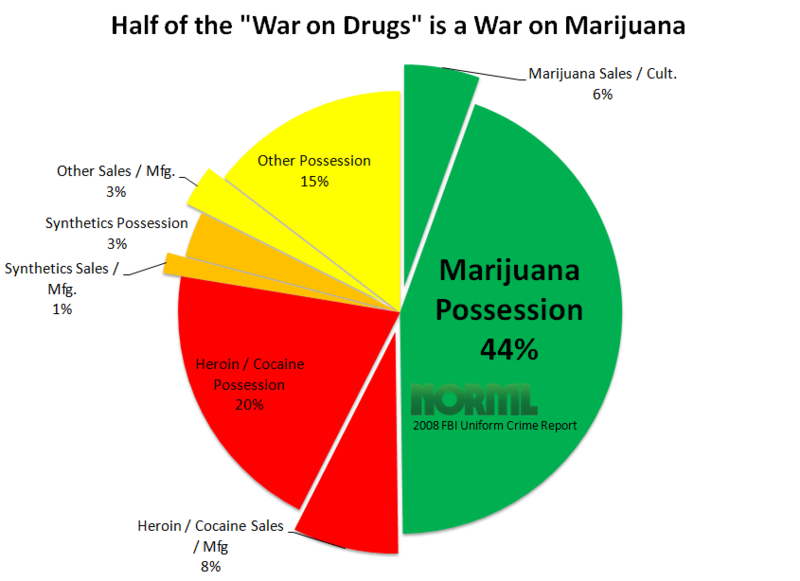 Virtually no marijuana was found among the five million people who were searched. After three weeks, the operation was abandoned. Nixon enlisted celebrities like Art Linkletter and Elvis to spread the message, as well as funding a new study to identify the dangers of marijuana. The 1972 National Commission on Marijuana and Drug Abuse report was the most comprehensive study on marijuana ever done. The commission took the position that smoking marijuana in one’s own home should not be criminalized. Nixon threw the report in the garbage can without ever reading it. And no wonder: the commission found that using marijuana did not lead to crime, laws were selectively enforced and that police targeted people with a certain look. They also found the cost of attempting to enforce marijuana laws far outweighed any deterrent effect of that enforcement. Nixon did not give up, and pushed forward with his war against marijuana. In 1972, all of the government’s existing drug agencies were combined into one super-powerful agency, the Drug Enforcement Agency. The DEA was given the authority to enter homes without knocking, use wiretaps and gather intelligence on anyone, an authority that has been expanded, in the face of the “war on terror” to include a multitude of agencies and rationales. The history of marijuana’s criminalization is filled with: racism, protection of corporate profits and a dash of yellow journalism abetted by ignorant, and/or corrupt legislators. There’s big money in government sponsored “wars” that generally fail in their quests. One need look no further than the “war on drugs” for evidence that these campaigns are actually more about creating legacy bureaucracies that are unassailable because of the high moral ground that they supposedly occupy. Despite a general loosening of the criminal laws in recent years, the fact is that the public still has an exaggerated sense of the dangers associated with pot. I’ll talk about public perceptions and more in Part Three: Why Proposition 19 Will Fail. Doug you continue to shine a light on ignorance, the true enemy of the people. Because the ignorant are easily led. Look forward to the continuation of your series. And wow, the path to prohibition sure is one of history’s bad dreams. I knew Anslinger and Dupont played their dirty roles. I didn’t know about Elvis and Art Linkletter. Boo those guys! Older Article: Should the City of San Diego keep the Miramar Landfill?